Big data analysis has created a lot of buzz in recent times and several sectors have identified that it can be a big game changer. With the increasing adoption of this technology, all the modern industries are finding the real value of big data analysis. Basically, it refers to the scrutiny of large data sets including a variety of data types (big data) to unveil market trends, hidden patterns, customer preferences, unknown correlations and other useful information. Such analysis has proved to be highly effective in devising strategies for new revenue opportunities, better services, effective marketing, improving operational efficiency and many more tasks. It also helps the organizations and entities to stay ahead of competitors and derive maximum benefit. Big data analysis has a major role to play in healthcare sector. It allows you to decode entire DNA strands within minutes, to better predict and understand diseases and to find new cures. Data obtained from smart watches and other wearable can be used to generate a lot of relevant medical information. Big data analysis opens up the possibility of including a huge number of individuals for clinical trials, instead of using limited samples. The technology is already utilized to monitor premature and fragile babies by developing algorithms and understanding their medical conditions. Monitoring and predicting epidemics has also become easier using medical records and social media analytics. Big data analysis can open up several new possibilities in the research field. A prominent example has been presented by the Swiss nuclear physics lab (CERN) which is experimenting with the world’s largest and most powerful particle accelerator, the Large Hadron Collider to unfold the secrets of universe. Through huge amounts of data generated, the organization is trying to decode how the universe actually works and how it came into existence. The CERN data center analyses about 30 petabytes of data using 65,000 processors. For data analysis, it also utilizes the computing power of thousands of computers, placed in different data centers across the world. Such analysis can also bring about new inventions and discoveries in a number of research fields. Law enforcement and security improvement can have a substantial boost with the help of big data analysis. National Security Agency (NSA) in the U.S. utilizes this technology to spot terrorist plots. The analytics can be also helpful in detecting and preventing cyber-attacks. Police forces also use it to predict criminal activities and catch criminals. It even assists the banking sector and credit card companies to determine fraudulent transactions. Even the sports arena has embraced this technology to improve and analyze performances. Tracking tools, video analytics and sensor technology are widely used in sports equipment to analyze the performances of players in different games. These tools provide us feedback through smartphones and cloud servers, giving us a clear picture of how to improve the game. In some cases, teams also track sports-persons outside the sporting arena using various technologies to track their social media conversations, nutrition, sleep and emotional well-being, all of which impact the game. Media and entertainment sector has a lot to derive from big data analysis. Consumers always demand a rich experience in different formats and over different devices. The technology helps to collect and analyze consumer insights, leverage social media and mobile content and understand patterns of media content usage. Behavioural analysis and detailed consumer profiles can be used to target improved services by creating content for target audience, measuring content performance and presenting content on-demand. 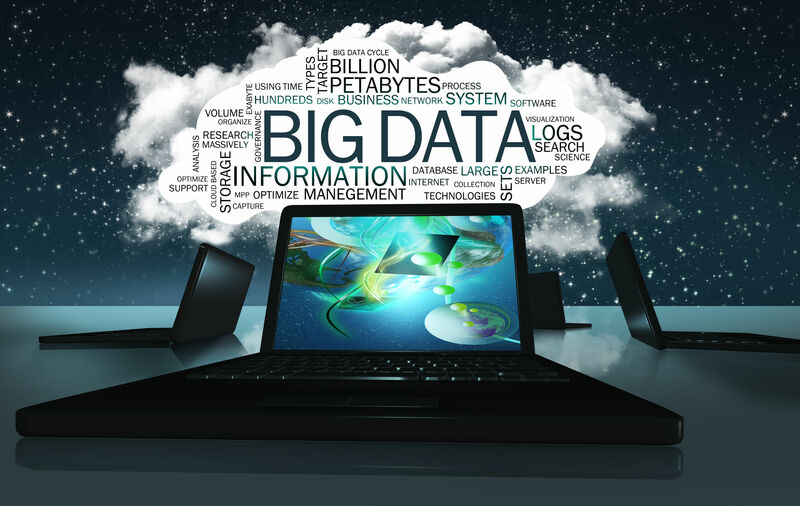 Higher education uses big data analysis to achieve a number of significant objectives. Students’ behavior and usage of study materials can be tracked to improve overall performances. It also helps to measure teachers’ effectiveness, ensuring a satisfactory experience to the students as well as teachers. Performance of teachers can be fine-tuned on the basis of subject matter, student aspirations, student demographics and many other variables. Institutions can adopt it to devise effective courses and appropriate strategies for weaker students. Using big data, industries utilizing natural resources can develop predictive models for better decision making. Collecting and analyzing huge amounts of graphical, geospatial and temporal data can be very helpful in managing natural resources, avoiding their wastage and being alert before they get exhausted. Reservoir characterization and seismic interpretation can also be achieved using this technology. Optimization of business processes is largely dependent on big data analysis. Retailers can optimize their stock using predictions based on social media trends, search trends and weather forecasts. Optimization of supply chain and delivery route by tracking goods and delivery vehicles through sensors and live traffic data can also be achieved. Evaluating company culture, client behavior, staff engagement are certain other aspects which are also covered by this technology to provide effective business solutions. With the advancements in technology, a number of software and applications have emerged which help in big data analysis for different sectors. Choosing the appropriate one, that suits the specific sector, is a decision to be made wisely, and new doors towards innovations and opportunities shall start opening up.